This book is about Perl 6, a programming language of the Perl family. It covers many basic and in-depth topics of the language and provides the initial knowledge you need to start working with Perl 6. This practical guide gets you started on your programming journey with the help of Perl 6, the younger sister of the popular Perl programming language. Ideal for beginners, this hands-on book includes over 100 exercises with multiple solutions. This book teaches you a way of thinking about Perl programming for solving debugging, configuration, and many other real-world problems you'll encounter as a working programmer. This book sets out to unwrap the Library for the Web in Perl (LWP), which is a collection of modules that make it easier to access and pick apart Web pages (and FTP-accessible files, and outgoing e-mail messages) from within your Perl programs. This is a book written with the goal to teach Perl programmers with a strong C and Unix background how to use techniques with roots in functional programming languages like Lisp that are available in Perl as well, but less known. 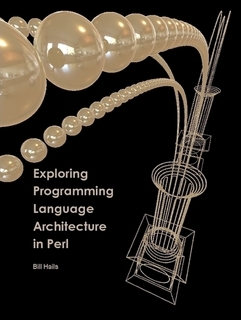 The book promotes the use of Perl as a programming language, encouraging the creation of legible and sensible programs so as to dispel the image of Perl as a confusing and obscure language. Describe how experienced and effective Perl 5 programmers work. They use language idioms. They take advantage of the CPAN. They're recognizably Perlish, and they show good taste and craftsmanship and a full understanding of Perl. This book introduces Perl to both new programmers and experienced ones who are looking to learn a new language. It provides the information and instruction you need to confidently get started with Perl. This book presents an informal and friendly introduction to some of the core ideas in modern computer science, using the programming language Perl as its vehicle. This book provides tools and strategies to improve the performance of existing Web applications in Perl with case studies and real-world examples. It also provides principles and ideas that help programmers create extensible frameworks. This is a book for people who already know how to program in another language, but don't know Perl. This is a book that gets through the basics as quickly as possible. It emphasizes good programming style in Perl. The primary purpose of this book is to show you how to take full advantage of mod_perl: how to make a mod_perl-enabled Web site as fast, flexible, and easily-maintainable as possible. Although using Mason isn't difficult, creating a Mason-based site can be tricky. This book shows you how to create large, complex, dynamically driven web sites that look good and are a snap to maintain. This book explains HTTP (Hypertext Transfer Protocol) requests and socket calls, then shows how you can use the LWP library for Perl to retrieve Web pages, parse HTML, check whether a server is responding, and more. This is an introduction to Perl programming. The text gives introduction to Perl, then covers numeric and string literals, variables, arrays, operators, Perl statements, functions, references, input and output in Perl, etc. This book is about learning to use Perl as a programming language, and not just a scripting language. This is the book that turns the Perl dabbler into the Perl programmer. This book is for people who either want to learn Perl or are already programming in Perl and just don't have the patience to scrounge for information to learn and use Perl. This book has been designed to teach you how to develop Perl scripts and to help you become an effective programmer, and teaches concepts through the creation of simple games. This book teaches developers how regular expressions can help solve basic programming problems. By introducing patterns and rules to your strings, you can eliminate the need to write your own complex code for text manipulation. This book is designed for all levels of administrators - from hobbyists to card-carrying SAGE members - sysadmins on multi-platform sites. Written for several different platforms (Unix, Windows NT, and Mac OS) where Perl can be most useful. This is the previous page of PERL Programming, we are in the processing to convert all the books there to the new page. Please check this page again!! !